You don’t know me well. There are very few services or apps on which I would spend my money. I just spent Rs. 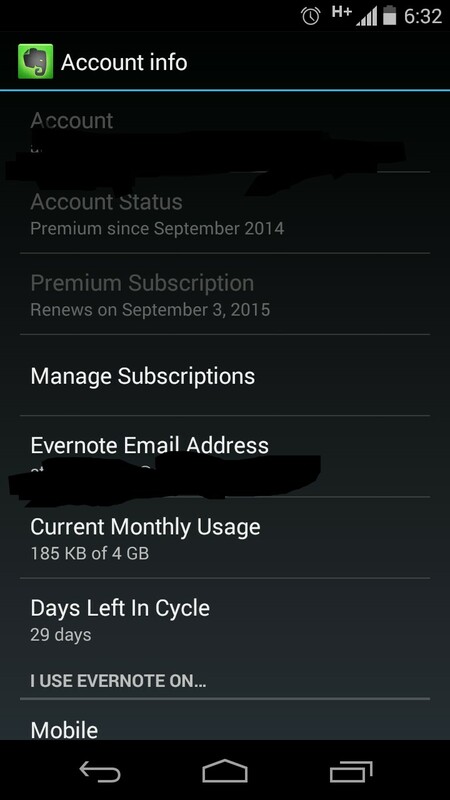 2360 for an year on Evernote. You need to be convinced about a service or a product or an app and need to find a definitive and long term use case before you put your money in it. I am a working professional and I handle sales in the organization I work for. There are office meetings and client meetings and Alliance partners meetings and some more meetings and then, some more meetings. There are many services that I sell. I capture all that in a notebook (a physical old school notebook). I realized that my capturing the data is perfect. Going BACK to the data is not. How do you create a history of conversations of meetings which is readily available? Notebooks change. Diaries change. One way is putting everything in your company’s CRM. That becomes the company data. Does not help me when I am out there in the field or when I sit with my CEO. How do I recall what all I discussed with him 2-3 weeks back? Evernote is helping me in digitizing my physical notebook in an organized manner. Just take a photo, put it in the respective digital Evernote notebook and you are sorted. Need to go Premium arose when I realized that there’s a limit to MBs you can upload. I have two notebooks in my Evernote. Office and Personal. For the sake of data confidentiality, I cannot share a single screenshot with you guys. But yes, I got convinced and yes, I went Premium and yes, this one’s for keeps! Yes. This is brilliant if you are a pen and paper guy and have meetings in your life!